Partner Program | Universal Finance Corp.
You make the sale and we take the risk. At Universal Finance Corp. we know how important it is to work with and partner with a finance company who understands your business. Having over 100 years of combined experience, we understand the value of new and used commercial construction equipment. 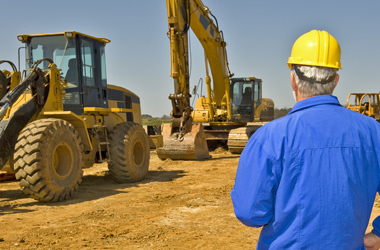 Most finance companies tend to have restrictions on the age of used equipment. At Universal, we look at every loan and understand the value of the collateral. Universal Finance Corp. has financing options for all credit types. We have the knowledge and experience to make sure your customer receives the best financing option available to help their business grow. We have partnered with some premier dealers and brokers… we are looking to partner with you! Why Partner with Universal Finance Corp.? Your customers can be pre-approved within hours and we can close within days. We have financing options for all your customers’ credit types. Each customer is more than just an application. Customers don’t have to wait for answers from a bank. Offering financing through a direct lender closes deals faster. There is no “One Size Fits All”. We look at each deal individually. Universal Finance Corp. has flexible rates that are based on the “3 C’s – Credit, Collateral & Character.” Universal Finance Corp. makes decisions not only by what is on paper, but who the customer is whether they have A or D Credit. We offer financing options that may allow customers to receive extra capital to make repairs on the equipment they are purchasing. Both you and your customer will be updated on every step of the financing process. We are always just a phone call away. Universal Finance Corp. is a proud member of NEFA, The National Equipment Finance Association.